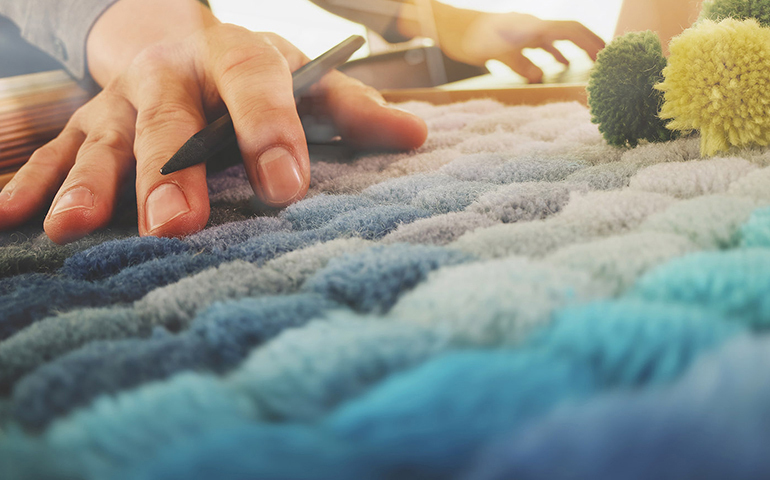 At Zeftron we can’t claim to know every nuance of your design process, but we do know how carpet can offer a myriad of design options for you. These options include a broad color palette that will coordinate with all your material selections, from hard surface flooring to wallcoverings and furnishings, and many standard carpet styles that can be customized, to a full custom carpet, from pattern to colors. 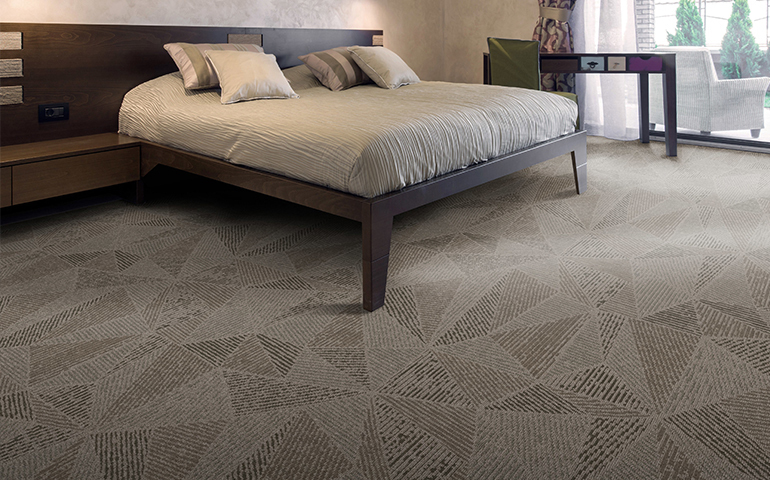 After determining design concept, space planning and establishing how each area will function, material selection can begin with carpet, one of the largest areas in a space. With our extensive color palette coordinating with other materials is easy. Color is a vital part of design and is oftentimes the starting point when establishing the desired atmosphere of any space. It enhances the visual experience, evokes emotion and impacts how we feel. Thoughtful placement of colors on walls, fabrics and finishes paired with the right flooring option sets the tone, mood and ambiance of a space. Color is the starting point for establishing the desired atmosphere. Well chosen wall colors and flooring in an appropriate color scheme create an attractive and inviting space. However, pairing the right fabrics and finishes really pulls everything together. 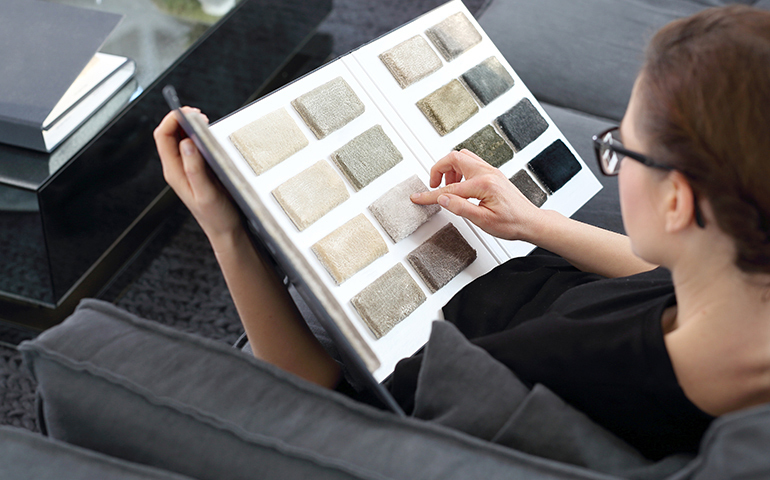 As designers, you have plenty of floorcovering options to choose from. But only one offers you an entire range of advantages -- and that’s carpet. Commercial carpet, especially carpet made with a premium nylon 6 yarn system like Zeftron nylon, provides more advantages than a hard surface or any other flooring type. A quality carpet made with Zeftron nylon can enhance any running line product. Countless beautiful styles, designs and textures are available from our partners. In most cases these can also be enhanced with your own touches or even create a signature product from scratch. View our case studies to see how others are creating signature looks for clients. 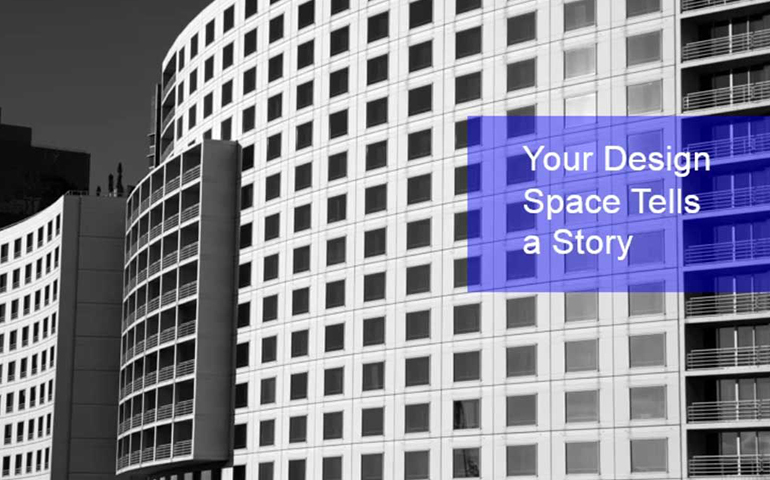 A space tells a story and you are its author. What you envision you can achieve with Zeftron nylon. More than 120 inspiring colors give you the palette to create the custom commercial carpet you desire for your project. Remove design boundaries. Put your signature on it. Make a design statement. 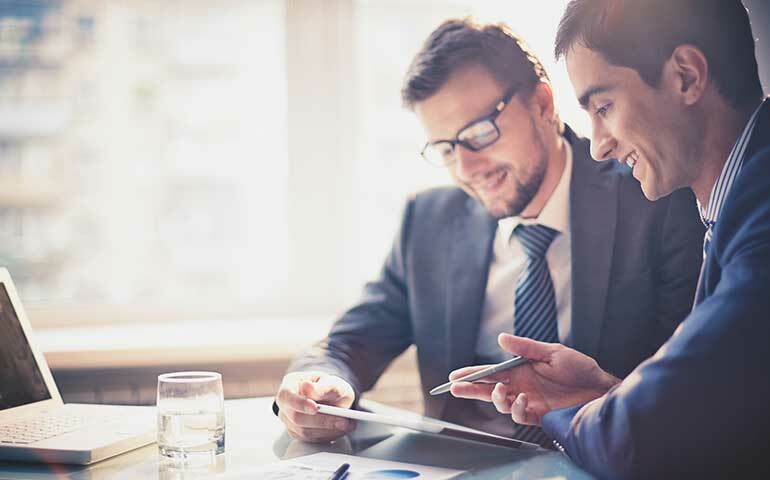 Working closely with Zeftron and one of our mill partners we can help with capturing your ideas and turning them in to reality. 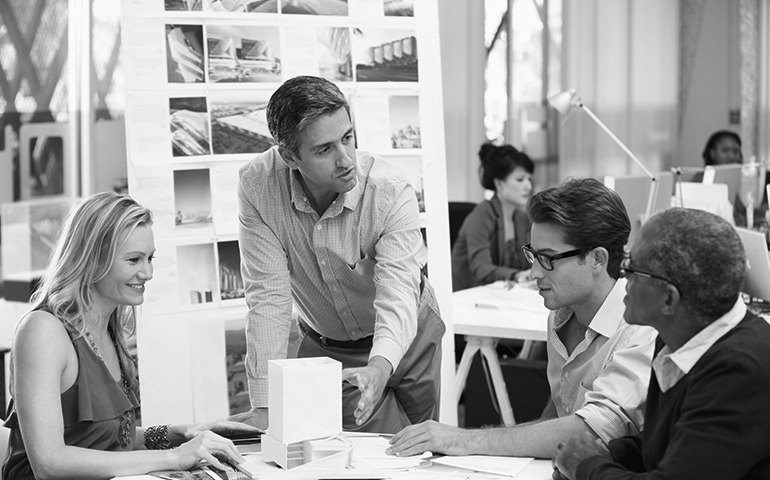 Stay up to date with fresh ideas and design trends with our blog articles and on Facebook.